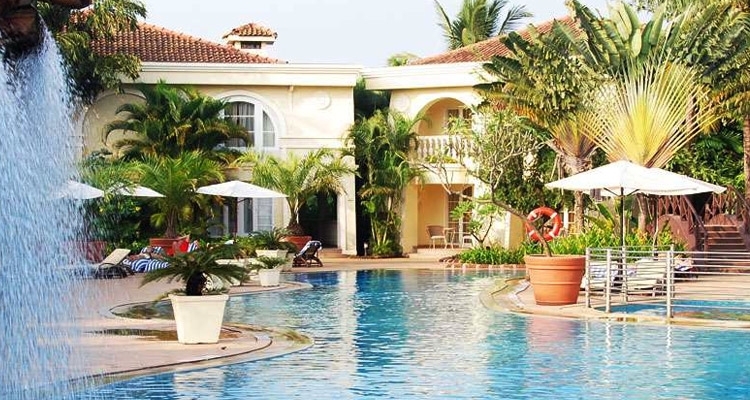 One of the most exotic five star beach resorts in Goa, The Zuri White Sands, Resort & Casino, is nestled on the picturesque Varca Beach. 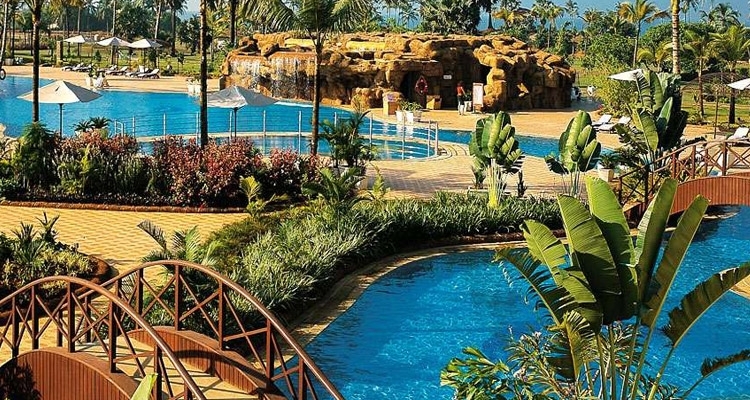 The resort is sprawled over an area of 37 acres and boasts of 158 guest rooms segregated as The Superior Room, The Zuri Premium Room, The Zuri Deluxe Room, The Zuri Executive Suite and The Zuri Suite. These guest rooms are equipped with a range of modern amenities such as 32 inch LCD television, mini bar, electronic safe and Wi-Fi internet. The resort houses various in-house restaurants & bars which include Sake-Pan Asian Restaurant, Waterfall Café, Tangerine, Fins & Rambooze and Blue Lagoon. 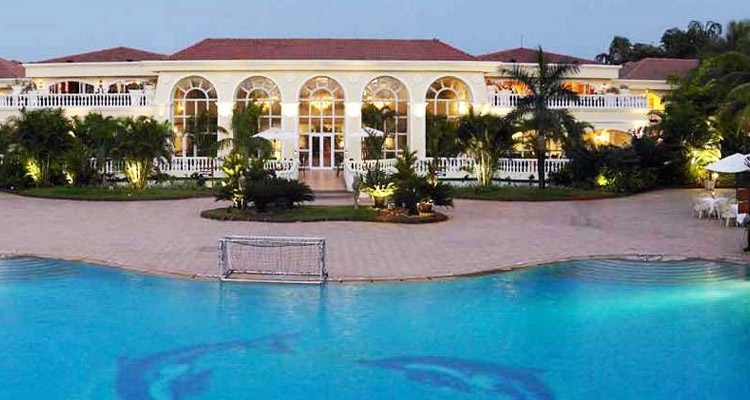 Other facilities offered at The Zuri White Sands, Goa Resort and Casino include gymnasium, spa, video games, banquet halls, meeting rooms and pool centre. By Air : The Dabolim International Airport in Goa, which is located at a distance of 29 kilometers away from Panaji. The airport connects Goa to national and international cities. By Train : Madgaon and Vasco Da Gama are two major railway stations in Goa. These stations are located on the Konkan Railway Line and are directly connected to Delhi, Mumbai, Bangalore and other cities. By Road : Panaji is the main bus stand at Kadamba. The state owned bus services from Goa, Maharashtra and Karnataka operate from this station. Super Deluxe A/C buses connect Goa to other cities such as Bangalore and Mumbai. 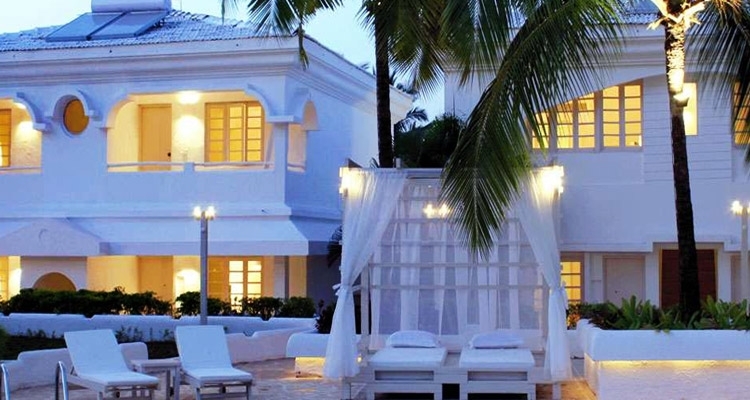 The Zuri White Sands, Goa Resort and Casino, offers 154 well-appointed guest rooms and 4 luxurious suites to its guests. Each guest room is furnished with a range of modern amenities and feature private balconies attached to every room. With round the clock guest services, these rooms feature all the contemporary conveniences such as 32 inch flat screen television with satellite connections, electronic safes, well-stocked mini bar and Wi-Fi internet access. 36 in number, the Zuri Superior Rooms offer breathtaking view of the beautiful verdant lawns, adjoining the meandering pool. These rooms spans across an area of 41 square meters and are done in stylish interiors with white textured walls. The rooms located on the ground floor open out directly to the garden. Each room features twin or double beds, a spacious wardrobe, a study table and a seating area. 96 in number, the Zuri Premium Rooms are located adjacent to the meandering pool and offers tasteful views of the verdant lawns. These rooms measure up to a size of 41 meters and come equipped with a range of modern amenities such as complimentary broadband access, LCD TV with satellite connection, electronic safe, IDD telephone, writing desk, mini bar, tea & coffee maker, hair dryer and premium toiletries. 18 in number, the Zuri Deluxe Rooms measure up to an area of 45 square meters and come equipped with a range of modern amenities such as broadband access, LCD television with satellite connection, executive writing desk, electronic safe, IDD telephone, mini bar, tea & coffee maker and rain shower cubicle. 145 square meters in terms of size, the Zuri Executive Suites feature two conjoining rooms, adjoining the meandering pool. These rooms feature a view of the lawns, with a living and dining area, luxurious bathrooms and a host of modern amenities. The common in-room amenities include LCD television, executive writing desk, IDD telephone, electronic safe, mini bar, tea & coffee maker, hair dryer and bathtub. With a blend of classical and modern conveniences, the Zuri Suite, spanned over 195 square meters, has played host to some of the most distinguished personalities. These suites come equipped with a range of modern amenities such as LCD TV with satellite connection, executive writing desk, IDD telephone, mini bar, hair dryer, tea & coffee maker and electronic safe. Located at the lobby level, Sake serves a delectable a la carte menu along with delicious varieties such as Teppanyaki, Sushi and Thai Curry. Here you can gorge upon grill and barbecue delicacies during the weekend. 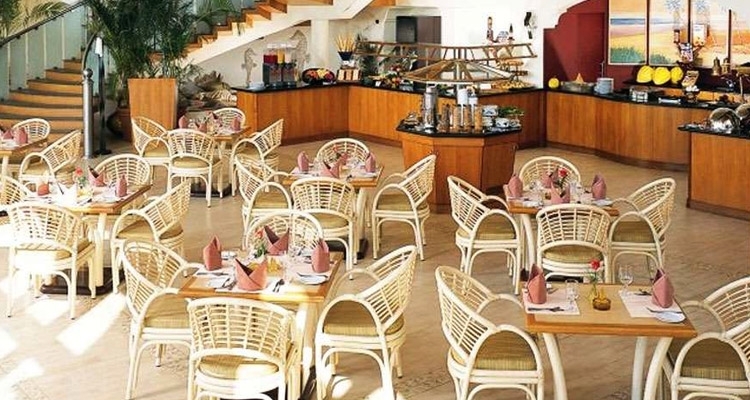 This is an all day dining multi-cuisine restaurant which serves a sumptuous meal at an air-conditioned place. The restaurant is located at the lobby level and overlooks the cascading the waterfall and swimming pool. It provides entertainment for its guests four times a week. Opened from 7.30 PM to 10.30 PM, Tangerine is a lobby bar and terrace lounge where guests can enjoy exotic cocktails and take delight in the live entertainment sessions. It allows you to be completely refreshed. This open air restaurant is a beach side eatery where guests can enjoy authentic Goan delicacies along with a host of beverages such as champagnes and spirits. The Blue Lagoon Pool Bar serves a delectable variety of Italian and Continental delicacies along with an a la carte menu. The bar is also famous for pastas and pizzas. The bar is opened from 9.00 AM to 9.00 PM.